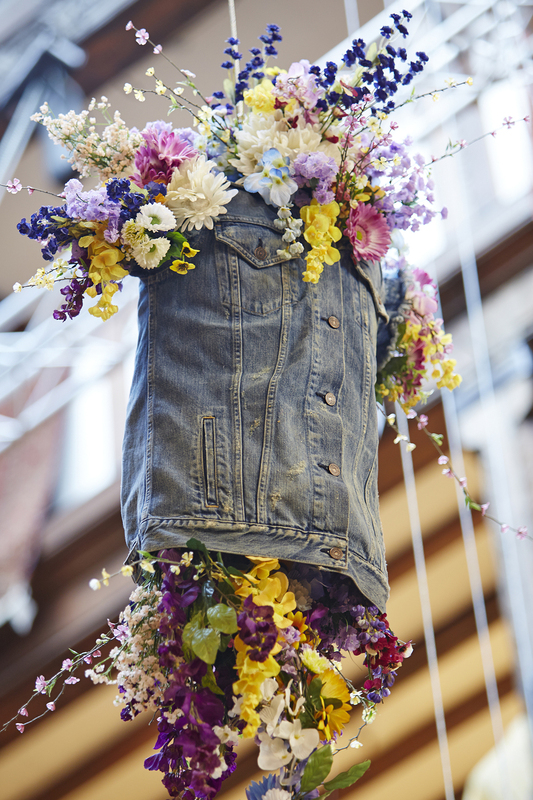 Levi's x Liberty -- London, UK — Coupler Mfg. 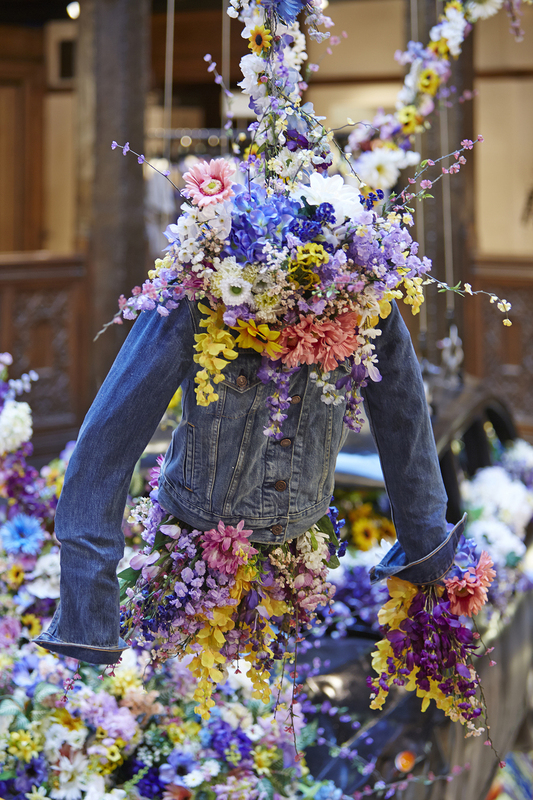 Co.
To launch the Levi’s and Liberty Collaboration at the famous Liberty store in London, Denton-Cardew Design created a visual for how the two cultures of San Francisco and London collided. 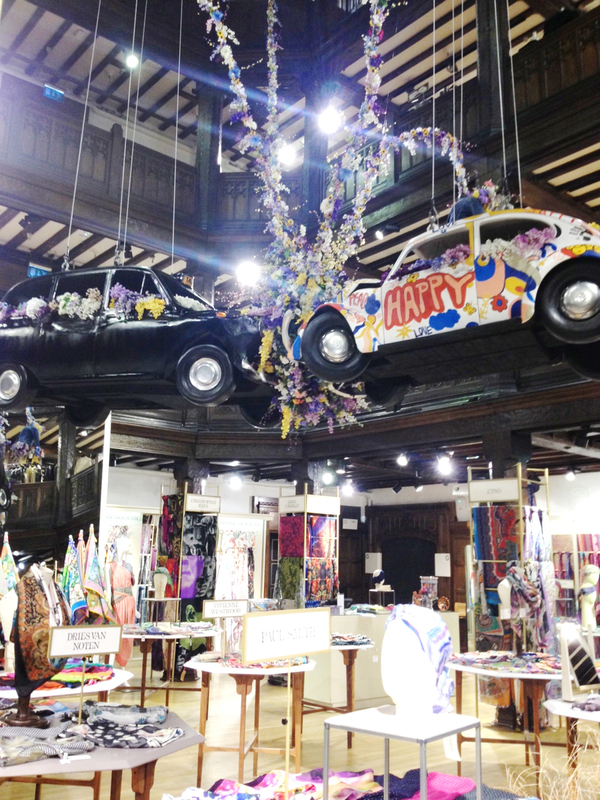 The iconic Black Cab and the Flower power VW bug smash into each other and result in the colorful flower pattern that adorns the product. 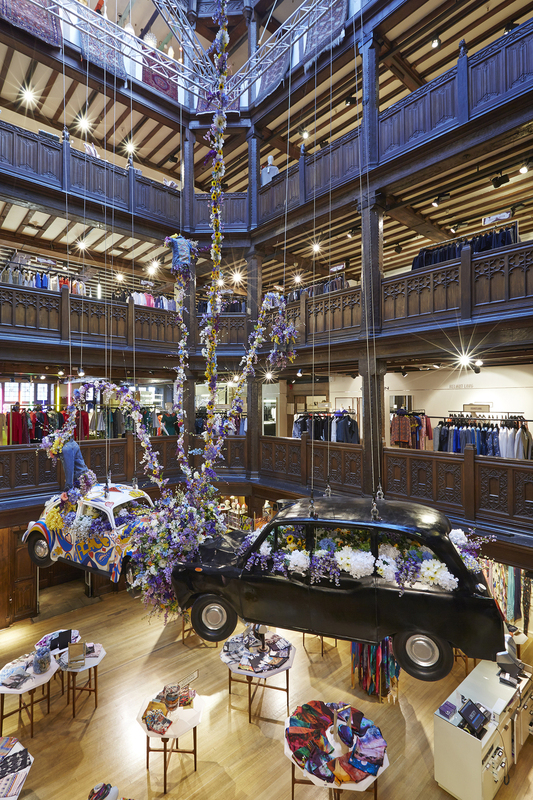 The flower explosion rockets streams of color upward toward the floors above. 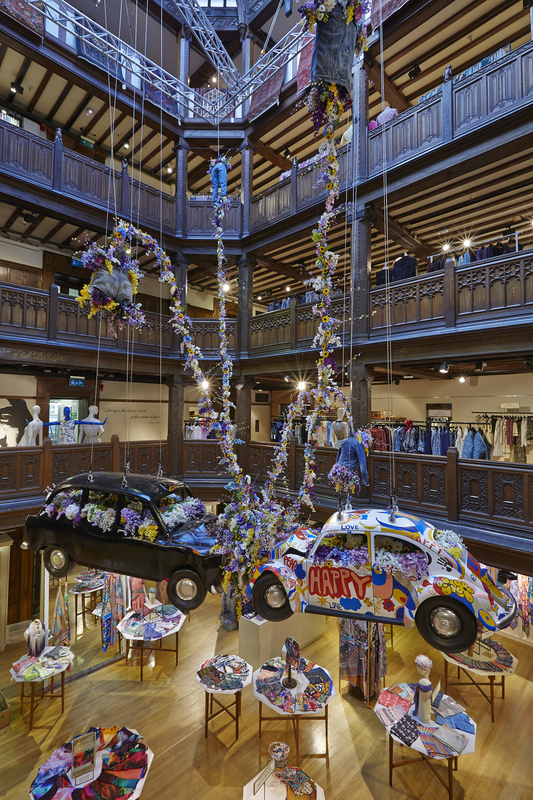 The Liberty 3 story atrium, has weight restrictions on what can be hung, so the cars were modeled from foam to make the weight limit. The product was merchandized on the first floor in custom-made greenhouse-inspired armoires that we designed alongside gardening tools painted white along with potted plants. Fabrication by Coupler Mfg. Co. and Cineco, London. Rigging by Unsusual Rigging, London.